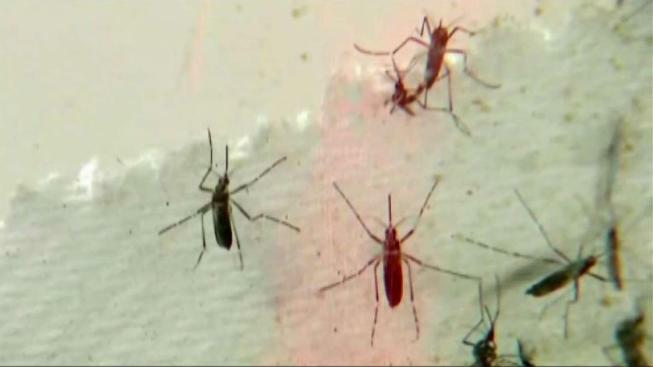 New Hampshire health officials say Eastern Equine Encephalitis has made its first appearance of the season in mosquitoes in Newton and Sandown. The state has tested more than 4,000 batches of mosquitoes this season for both EEE and West Nile Virus. Both can cause fever and joint pain, but EEE causes a more serious disease and can lead to a more serious central nervous system infection. The Department of Health and Human Services is working with local health officials in Newton and Sandown to notify residents. Officials say the discovery should remind residents that even with cooler weather, there are still mosquitoes around, and residents should protect themselves. At least 16 batches of mosquitoes have tested positive for West Nile Virus, the highest number in the last five years.